The battle for supremacy in India’s e-commerce space looks set to become a slug out between two gigantic global players: Amazon and Alibaba. At stake is one of the world’s fastest growing internet markets. India’s online population is tipped to reach 450 million-465 million people by June 2017, according to a new report co-authored by the Internet and Mobile Association of India, widening the audience of potential e-commerce customers. While China and the U.S. currently dominate in terms of e-commerce spending, the value of online sales in India is predicted to reach $48 billion by 2020, analyst firm Forrester claimed. Initially it seemed that home-grown companies Flipkart and Snapdeal would lead the foray. Flipkart has raised over $3 billion from the likes of Tiger Global and Naspers, while Snapdeal has pulled in over $1.5 billion from eBay, Black Rock and even Alibaba among others, but both have had their wings clipped of late. This year already two investors have marked down their holdings in Flipkart, while Snapdeal was reported to be in talks to raise a down-round in January such is the war of attrition when discounted deals are what attracts consumer attention. That Amazon-Alibaba East-meets-West matchup has been on the cards since Alibaba first invested in Paytm in 2015, while Amazon has poured billions into growing its India-based operations since 2014. Last week, a new level of clarity in the battle was reached when Alibaba backed Paytm for a third time, buying a 36.31 percent stake of its e-commerce subsidiary for $177 million, according to a filing reported by Reuters. 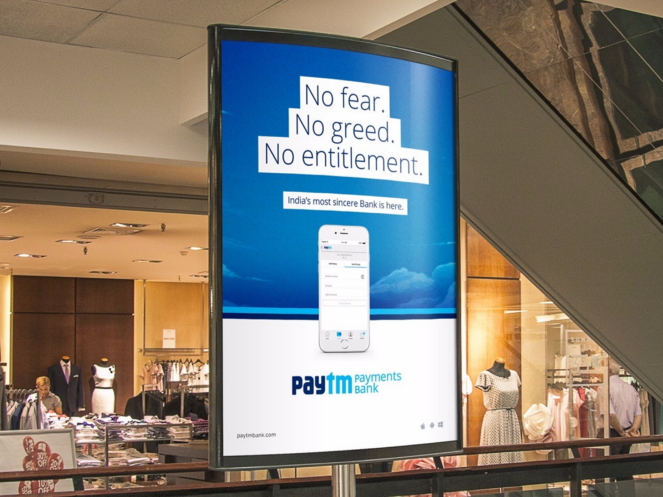 All in all, Alibaba and its Ant Financial affiliate own a majority stake in One 97 Communications, Paytm’s parent firm, 40 percent of the Paytm business, and now just over one-third of Paytm E-Commerce. Beyond the investment there was another meaningful signal last week as Paytm wheeled out an update to its mobile apps which introduce a distinctly Alibaba-like feature: Paytm Mall. Building on Alibaba’s T-Mall service — an e-commerce business that stocks high street brands and big names — Paytm Mall features “trusted sellers passing strict quality guidelines and qualification criteria.” In other words, it is selection-based rather than an open field like most other e-commerce services in India. A Paytm rep declined to say whether the new Mall service would feature sellers from overseas — i.e. Alibaba’s China service or Alibaba-owned Lazada in Southeast Asia — although a source reportedly told India’s Business Standard that Paytm Mall would eventually be linked up with Alibaba’s other e-commerce assets. Alibaba’s link with Paytm isn’t new, but the doubling down on its stake and the Paytm mall launch show a choice has been. But it wasn’t always so obvious. In the past, Executive Chairman Jack Ma considered expanding into India via its own entity, while Alibaba was last year linked with an investment in Flipkart, and it did indeed invest in Snapdeal in 2015 — but the growing dominance of Amazon in India, coupled with financial issues at both Flipkart (new leadership) and Snapdeal (recent layoffs), left Paytm as the obvious pick. The links go beyond simply convenience though, and there is much symmetry to be found between Alibaba and Paytm. The Indian company has a presence in e-commerce, but it is anchored in fintech through its mobile payment service, which last month reached 200 million registered users in India, making it the largest service of its type in the country. Alibaba has a laser focus on payments, which it views as a key strategic battle to winning out in e-commerce. Beyond operating China’s dominant mobile payment service Alipay, which claims 450 million registered accounts, Alibaba is making a land grab for comparable payment services across Asia and beyond via its fintech affiliate. Ant Financial’s recent deal have included the acquisition of U.S.-based MoneyGram for $880 million, a $200 million investment in Korea’s KakaoPay, and undisclosed deals in Thailand (Ascend Money) and the Philippines, Mynt. On top of that, Ant Financial is raising $3 billion in debt funding to finance further M&A activity that could extend its — and Alibaba’s — reach further still.